Wish you could retire right now? Give up the rat race, embrace a life of independence, reduce your stress, and have more time for what you value most — your family, education, travel? That might seem like a fantasy but to retire early is within reach of most Americans, if they would only take the steps to make it happen. That’s not a sales pitch. It’s true. You, too, can retire the way you want, when you want. And anyone can do it. Financial independence, after all, is a simple concept: you need enough money to create income to support your lifestyle for the rest of your life. That points to the crux of retirement planning: How much you need to save depends entirely on how much you spend. Your spending rate is the single biggest factor determining when you will be financially able to retire. To track your spending and savings, check with your financial advisor to see if they offer an online service that can help you with this. At heritage, our clients utilize Heritage CFO to monitor and track their finances in real-time. Certainly, your spending will change once you retire. You’ll stop sending money to savings. You won’t be spending money on commuting. Other costs may rise. Perhaps you’ll want to travel more, or you may encounter higher health-care costs. Step 2: How do I invest? Just as reining in spending is a recurring theme among early retirees, so is the idea of investing. Successful retirees use the funds they have accumulated to generate growth and additional income by investing. Not all investment strategies are created equal, so make sure you find a strategy that is suitable for your goals and objectives. A key piece of retiring early is keeping your housing costs low. If you plan to live in the U.S., the ideal situation is to pay off your mortgage before retiring. But as noted in No. 1 above, the key to retiring early is a simple function of how much you spend versus how much you have in income. If you save enough such that you can cover your mortgage costs after retiring, then there’s no inherent problem with holding on to a mortgage. Many retirees cite the significant psychological value of carrying no debt when they quit working. However, with interest rates as low as they are, others argue that holding the mortgage and investing in the financial markets the cash that otherwise would pay off the mortgage can be a smart financial move. Early retirees deal with the issue of health insurance in a variety of ways. Individual costs will vary widely, depending on the situation. Certainly, the availability of health insurance in the U.S., thanks to the Affordable Care Act, has made it easier for individuals to quit jobs they might otherwise have kept for the health insurance. Just as when we’re working, taxes are a consideration in retirement, whether you retire early or not. It’s crucial to include an estimate of your annual tax bill in your “total savings needed” amount. Your tax bill may come in a variety of flavors. If you’re pulling your income out of a taxable brokerage account, you’ll most likely owe capital gains on those distributions. Also, your Social Security benefits are taxable if your income exceeds a specific amount. 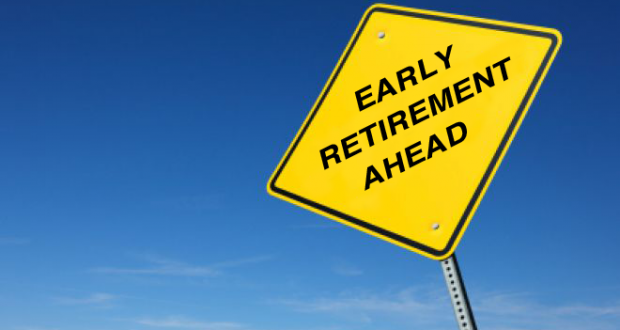 Keep in mind that, if you continue to do consulting or part-time work after you retire early, then any Social Security benefits you’ve claimed will be temporarily reduced. Heritage Financial Advisory Group’s mission is to inspire our clients to achieve true wealth through education, communication, and service which exceeds their expectations. We offer a comprehensive suite of investment management and financial planning solutions, serving families, business owners, executives and institutions. Contact one of our financial advisors to request a complimentary consultation. Visit us at Long Island Financial Advisor . results. You write great posts but you should rank your website higher in search engines. You mentioned finding an investing strategy that suits your goals. I don’t know much about it, but I really want to start doing it as I just got my first salaried position last year. Maybe a financial planning service could give me ideas about where to invest so I can retire early. Great idea, Hannah. Happy to help in any way that we can.